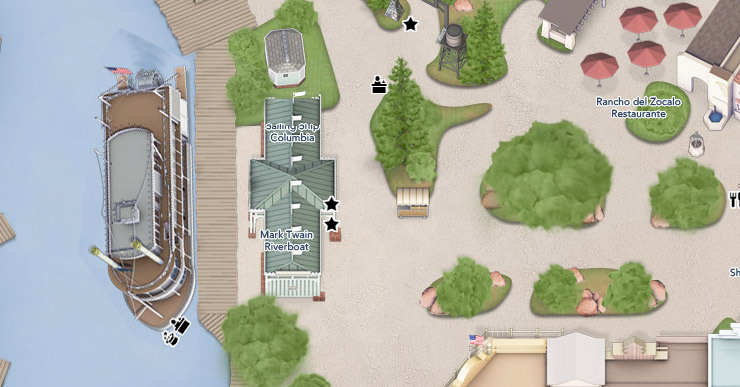 The Mark Twain Riverboat picks up passengers at a little structure south of Thunder Mountain Railroad. I haven't been on it. It looks great! This is the view from Golden Horseshoe. Here's another picture of the Riverboat in dock in Frontierland. I'm sorry I don't have more photos of the boat itself.